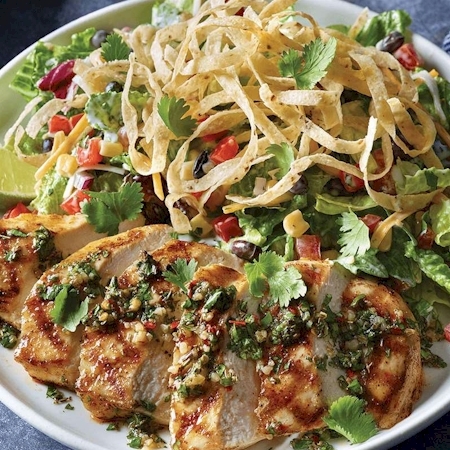 At Ruby Tuesday, we're fully committed to preparing and serving food of uncompromising freshness and quality. From our ongoing efforts to bring you the best menu in casual dining and the best Handcrafted Burgers anywhere, to the gracious smiles and genuine hospitality that greet you at our doors, Ruby Tuesday wants to make our simple fresh american dining your favorite dining anywhere. Enjoy our classic bone-in or boneless wings sauced and tossed just the way you like 'em. A blend of spicy shrimp, cheese, and fresh pico de gallo. Served with tortilla chips. Made with tender artichoke hearts and creamy parmesan cheese. 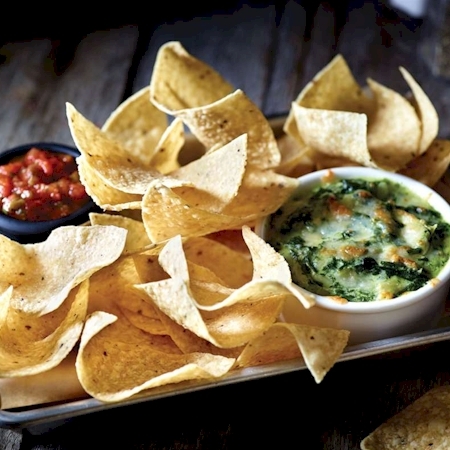 Served with crisp tortilla chips. You choose- classic or spicy. Either way you can't go wrong with our crispy shrimp. Served with house made ranch. 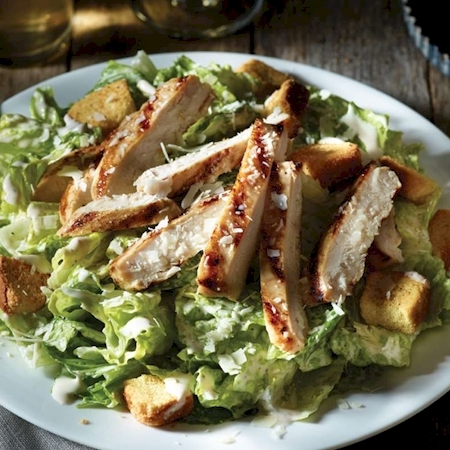 Salads now come in two Styles: Traditional (Leafy Greens topped with Dressing), Chopped (chopped Greens topped with Dressing). 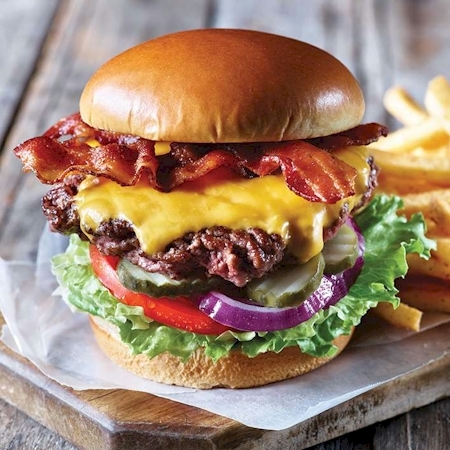 Burgers are made to order from USDA choice beef, served on our new brioche bun, Shredded lettuce, tomato, pickle chips, and Ruby's signature sauce, all on a toasted bun. All burgers are served with fries. Two 100% beef patties stacked on a triple-decker toasted brioche bun with cheddar & swiss cheese. Cheddar, Bacon, Tangy barbecue sauce and crispy onion rings. Roasted baby bella mushrooms, swiss cheese, and RT burger sauce. Avocado, Swiss and applewood Bacon. Topped with lettuce, tomato, onion and pickle chips. Served on our brioche bun or gluten free bun, with your choice of side. Fresh grilled chicken with Swiss, applewood bacon and sliced avocado.Topped with lettuce, tomato, onion and pickle chips. Crispy chicken breast with house made pimento cheese and comeback sauce. Mild and flaky Tilapia Creole-Seasoned then topped with sauteed Shrimp and Parmesan Cream Sauce. Served with your choice of two sides. Cajun style grilled shrimp toped with spiced lemon butter sauce. Served with dirty rice and choice of one side. Crispy jumbo shrimp with fries and coleslaw. Served with cocktail sauce. Top sirloin perfectly seasoned and flavored with cracked Peppercorns, Parmesan Cream Sauce and shaved Asiago Cheese. Served with your choice of two sides. Rib eye seasoned with cracked peppercorns and topped with baby bella mushrooms and shaved asiago cheese. Served with your choice of two sides. a 12 oz seasoned rib eye served with your choice of two sides. 12 oz rib eye rubbed with cajun blackened spices. Served with your choice of two sides. 8oz of top Sirloin well seasoned and grilled to perfection. Served with your choice of two sides. Half Rack of Baby Back Ribs slow cooked for hours until they practically fall off the bone! Served with your choice of two sides. Full Rack of Baby Back Ribs slow cooked for hours until they practically fall off the bone! Served with your choice of two sides. Our BBQ half rack served with crispy jumbo shrimp. Served with two sides. A half rack of our BBQ baby back ribs paired with crispy hand breaded buttermilk chicken tenders. Served with two sides. A tender Pork Chop finished on the grill, then glazed with our Hickory Bourbon BBQ Sauce. Served with your choice of two sides. Four crispy jumbo shrimp, two hand breaded buttermilk chicken tenders, and a half rack of our BBQ ribs make the ultimate feast. Served with two sides. All-natural Chicken Breast grilled and topped with vine-ripened Tomatoes, Lemon Butter, and a splash of Balsamic Vinaigrette. Served with your choice of two sides. Roasted Baby Portabella Mushrooms and Artichokes in a Parmesan Cream Sauce over a fresh grilled Chicken Breast. Served with your choice of two sides. All-natural grilled Chicken Breast smothered with Smokey BBQ Sauce and topped with Swiss Cheese, Cheddar Cheese and Applewood Bacon. Served with your choice of two sides. A tender Chicken Breast topped with a Hickory Bourbon BBQ Glaze with a Sweet & Smokey taste. Served with your choice of two sides. Grilled chicken breasts with baby bella mushrooms, bacon, Parmesan cream sauce and Asiago cheese. Served with two sides. Double-dipped in our signature buttermilk batter and fried to a crisp golden brown. 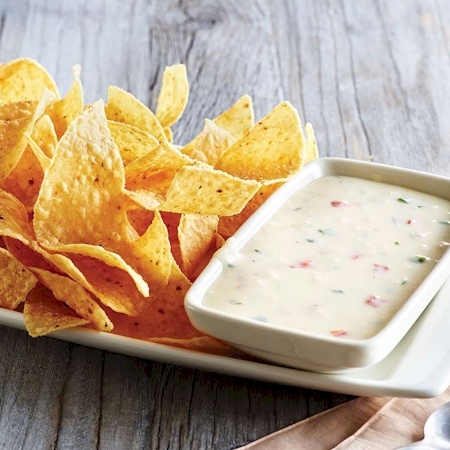 Served with honey mustard dipping sauce, coleslaw and your choice of a side. Spicy sauteed Shrimp over Penne Pasta in a Parmesan Cream Sauce. Seasoned Chicken and fresh Broccoli over Penne Pasta in a Parmesan Cream Sauce. Crispy chicken served atop pasta, aged cheddar sauce,and cheeses. Oreo cookie crust layered with Fudge, Mocha Ice Cream and Coffee Mousse. Topped with slivered Almonds and drizzled with Chocolate Sauce. Four deep fried mini chimi's filled with raspberry cheesecake. Cookie, Bacon Bits, and Ice Cream with a strip of Bacon. Freshly brewed iced tea with your choice of various real fruit flavors! Each Lemonade is made with real fruit and 100% all-natural lemon juice.